While personal preference and family history are usually the deciding factors in the choice of a name, some names just work. For this list of the best boy names, we have added popular names as well as less popular names that carry a good meaning or have a pleasant “ring” to them. For a little naming inspiration, read through this list and see if any of the names speak to you. Also, if you are looking for the perfect name for a girl, our list of the best girls names will be able to help you out as well. A moderately popular name in the United States, Gavin is of Scottish and Welsh origin. Gavin also means “white hawk” or “white falcon.” It is most likely a variation of Gawain, one of the knights of King Arthur’s Round Table. One of the most popular boy names for 2014 in the United States, Noah can mean either “comfort” or “wanderer.” Hebrew in origin, one of the most famous Noahs is undoubtedly the biblical Noah. Soren is popular in Scandinavia, especially in Denmark where the name originates from. As a variant of the name Severus, Soren can mean “stern,” but with its Norse heritage, it is also a warrior name. The 50th most popular boy’s name in 2014 in the United States, Levi is of Hebrew origin. Levi also has a good meaning: “united.” In recent years, several celebrities have also named their child Levi. Both Matthew McConaughey and Uma Thurman have chosen this name for a child. 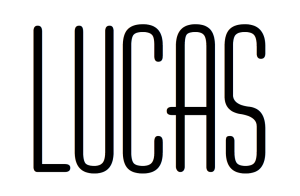 A popular name for 2014, the name Lucas has been strongly represented in a variety of cultures. Lucas means “bringer of light” and in Greek also represents the patron saint of doctors and artists. A popular name in the Czech Republic, Slovakia, and Poland, Marek is less popular in the United States. A form of ‘Martin,’ Marek is a unique alternative that means “warlike.” If you have Central European heritage or are looking for a unique, but pronounceable name, Marek is a great choice. A synonym for fairness and equity, Justice is an excellent gender neutral name. As a bonus, Justice is easy to spell and pronounce but is not so prevalent as a name that everyone else will have it. A Hebrew name, Elijah has gained popularity in recent years. Elijah is also a character in the Bible, acting as a prophet of God and a miracle worker. For a strong name with a good origin, Elijah is a great choice. Used as both a surname and a first name, Grant is a strong Scottish name. Meaning tall, or great, Grant is an excellent choice for a tall family or a child with big ambitions. An uncommon first name, Avett is perhaps best known as a surname of the Avett Brothers, a folk-rock band. For those looking for something a bit different, Avett is an excellent choice. And, as a bonus, the name goes well with most middle names. Meaning mounted warrior or knight, Ryder is an adaption of an English surname. Ryder is also a great gender-neutral name. Which makes this a good name choice for those who like gender-neutral names. With the meaning of “lucky one,” Zaiden is a unique name that has gained some popularity in recent years. Hebrew in origin, Zaiden is an excellent choice for those wanting a unique name with a happy meaning. A Titan in Greek mythology, Atlas is a strong name that suits an adventurous boy. For those who like Greek mythology, or want a unique name, Atlas is a solid choice. Initially an English surname, Clark has gained popularity recently as a given name. Clark evolved from ‘clerk,’ hence the meaning of scribe or scholar, making this the perfect name for a studious child (or for those who want that for their child!). Another great gender-neutral name, Remy is a strong French name. With the meaning of ‘oarsman,’ Remy is a great choice for those who live by the sea or love the water. A variation on “Matthew,” Matthias means “gift of God.” For those who want a traditional name with a twist, Matthias is a great idea. A Latin name, Sebastian is a popular given name in several cultures. With the meaning of venerable or revered, Sebastian is also the patron saint of soldiers. This makes the name Sebastian a good choice for those with a military background. A variation of the Italian Giovanni, which is a form of John, Gianni is a great name for a fun, adventurous child. And, add in the meaning of Gianni (God is gracious), Gianni is a great name with a solid meaning. An old Latin name, Atticus originates from Attica, a region in Greece. Perhaps its most famous use is in Harper Lee’s “To Kill a Mockingbird.” However, in recent years the name has also gained more traction in the public. Originally an English surname, Edison means son of Edie or prosperous. Edison is also a great name because it is easily spelled, but not overused. This makes it a good choice for those who want a unique name. A moderately popular name in the United States, Dante means “lasting” or “enduring.” Italian in origin, the most famous Dante was also Italian – Dante Alighieri, the 13th-century poet, and author. Not a popular name in the United States, Raylan or Raylen is a contemporary American variant of Ray or Raymond. Raylan means “protecting hands.” Its alternate spelling is also the name of fictional character Raylan Givens of the television show Justified. 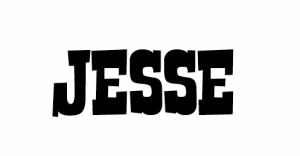 A popular name in the United States, Jesse means “gift.” While of Hebrew origin, Jesse is popular in both the United States and the Netherlands. Famous people with the first name of Jesse include Jesse James, the notorious outlaw, and Jesse Owens, American athlete. Irish in origin, the name Owen means “born to nobility” or “warrior.” It has gained popularity in the United States in recent years, and in 2014 it was in the top 50 most popular boy names. Whether you came here for new baby boy name ideas, or to check to see if your name was on the list. This list of the best boy names has provided you with 25 names that are strong and have a good meaning. So hopefully we have been able to help with your name research, and we wish you good luck name hunting! 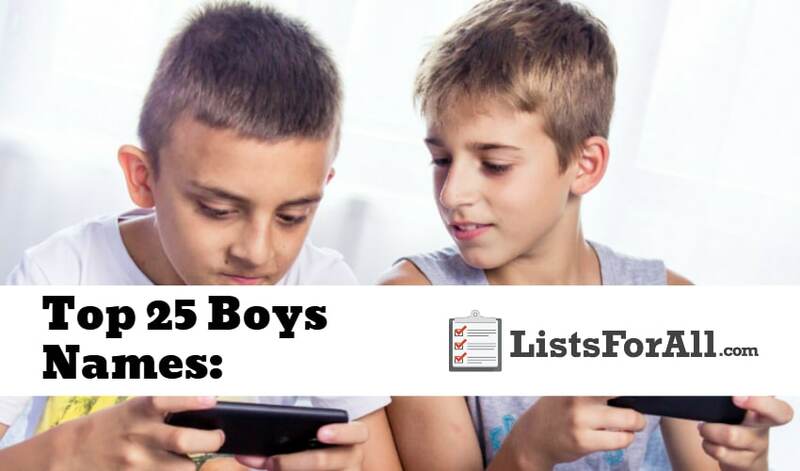 If you have a boys name that you think should be on the list, don’t hesitate to comment it below so that we can check it out.